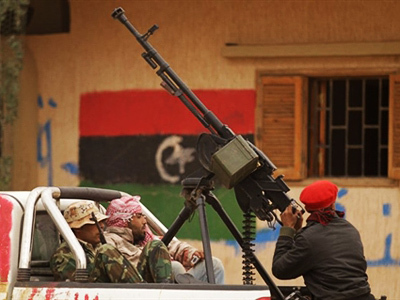 Members of the UN Security Council say they may adopt a new resolution by the weekend on Libya, where government forces are expected to advance on rebel cities. 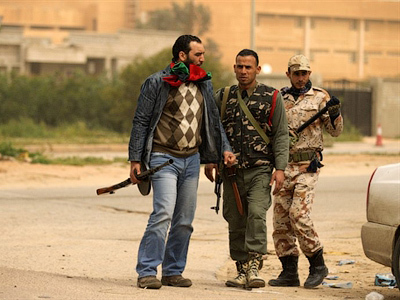 In Libya, fighting continues as forces loyal to Colonel Gaddafi close in on the main rebel stronghold of Benghazi. Airstrikes targeted an airport just 10 kilometers from the city. 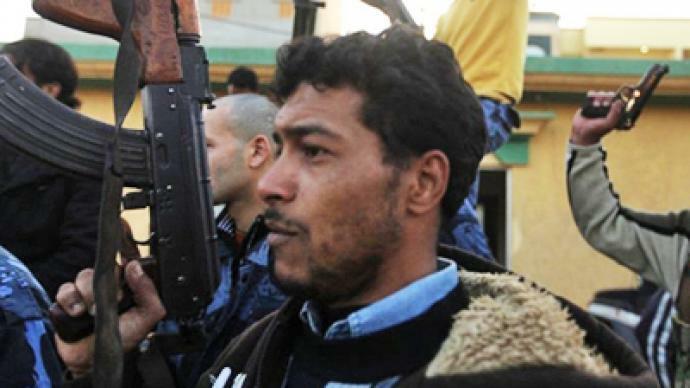 Reports suggest it comes after rebels rejected an ultimatum by Gaddafi to leave the city by Thursday morning. Troops loyal to Muammar Gaddafi may completely crush the uprising in the east of the country within 48 hours, one of his sons said on Wednesday. The dictator himself demanded unconditional surrender of the rebel capital Benghazi, claiming that he has been withholding use of military force to allow people to lay down arms on their own. The opposition government refused and called on volunteers to join them in the city of Ajdabiya. The present state of the city, which has strategic importance in the armed conflict, is not clear. Government forces claimed to have captured it on Tuesday and later on Wednesday, while the opposition says the battle for it still continues. In the west of Libya the siege of coastal city Misurata goes on, with neither side able to score victory, reports Al Jazeera. The third-largest city of the country is under blockade by government navy and ground troops and suffers from lack of freshwater and electricity. 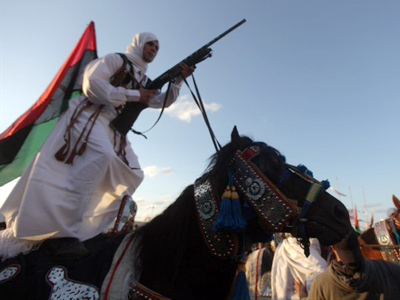 Some reports claim riots have started in the city of Sirt, Gaddafi’s birthplace. Along with the international community, Russia has strongly criticized Muammar Gaddafi’s actions in Libya. Moscow has imposed a number of economic sanctions against Libya and on Monday President Dmitry Medvedev declared Gaddafi and a number of his aides and relatives personae non grata. 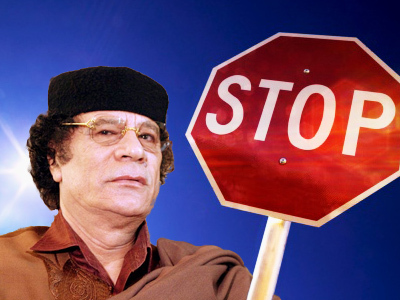 Moscow also banned the Libyan leader from conducting any financial operations in Russia, and it backed the UN set sanctions against Gaddafi, which, among other things, prohibit other nations from selling arms to Libya. Meanwhile, the UN Security Council has not voted on a draft resolution on the situation in Libya, which would impose additional sanctions against its government and a no-fly zone in its airspace. The document sponsored by Lebanon, France and the UK will be further considered on Thursday. Nations skeptical of a military solution to the conflict, including Russia and China, suggest to call for a ceasefire and make the future resolution limited, with it precisely defining the scope of measures. Action-calling nations ask for strict sanctions, a sea blockade and contingency plans for further measures in case the violence continues. When it came to the establishment of a no-fly zone over Libya, Russia made it clear it is against the proposal. According to Russia’s Foreign Minister Sergey Lavrov, who spoke at a recent meeting of the G8 ministers in Paris, when it comes to the no-fly-zone resolution, it is not even clear how it would be implemented. On the one hand, the resolution is backed by the Arab League. On the other, its implementation would most likely require the use of force – something the Arab League nations are strictly against themselves, not mentioning Russia, China and Germany – a present temporary member of the UN Security Council. The council is expected to come to a decision by weekend, US Secretary of State Hillary Clinton said. 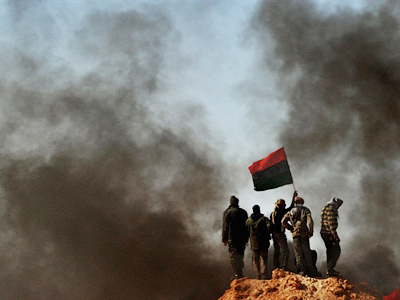 However some politicians and experts, including the influential non-governmental think tank International Crisis Group say it is too late for them now, as they will not help stop violence and civilian deaths in Libya. There is general concern that post-conflict settlement in Libya, with Gaddafi still in power, will do permanent damage to the international community. 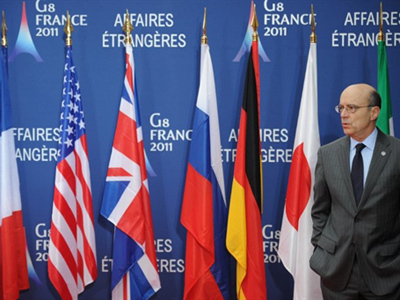 Several nations denounced the regime and France went as far as recognizing the opposition leaders as the legitimate government in Libya.